Casual chic: jeans, tight-fitting graphic t-shirts, mod dresses, heels. There truly is nothing in the world like a birds-eye view of Manhattan's breathtaking skyline. For newcomers to the city, New York's massive skyscrapers are like something from another world and when one cranes his neck to view the buildings above, his first thought is: "I wanna be up there!" 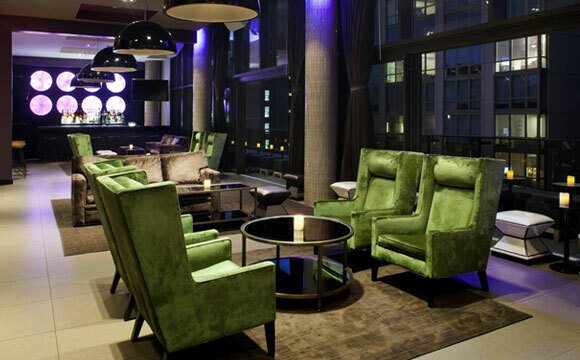 The Gansevoort Park Avenue Hotel offers an amazing rooftop venue that allows you to party to your favorite tunes, mingle with friendly locals and travelers, and sip on top shelf drinks, all while taking in the heavenly view of Manhattan's skyline from hundreds of feet in the air. This club's layout elicits a trendy, hip environment and there are multiple rooms and bars for when you want to change the ambiance. The indoor rooms are spacious and airy with high ceilings and enormous windows to welcome the glow from the seductive city lights. There are also outdoor balconies and an outdoor bar for a truly untainted view of the city. The hypnotizing lights from the surrounding buildings is further intensified by the sounds of world-class DJs spinning mixes of today's greatest tunes on the wheels of steel. Gansevoort Rooftop Club is visited by some of the world's most popular DJs so you can count on a night full of vibrant, energetic music. It doesn't get much better than taking in the mesmerizing sights and sounds of this venue from your own VIP table. 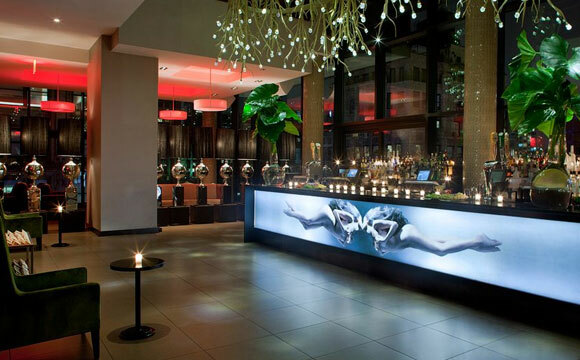 New York City VIP Services has all the hookups you need to get set up with a premium table overlooking the city lights. It's always nice to have your own table and bottles so you can enjoy the surroundings with exclusivity and comfort. VIP booths and bottle services are available inside and outside and there are also multiple private rooms for VIP parties. New York City VIP Services will hook you and your friends up with any seat in the house and our guests are offered additional discounts on bottles as well as a waived cover fee. Call 315-212-5068 or email us at info@nycvipservices.com and we will make all of the arrangements at Gansevoort Rooftop Club so you and your friends can simply show up and have a good time!